Continual success in business is all about cutting costs and saving where you can. Accomplishing this without compromising the safety, continuity and reputation of your business is a crucial part of this as well. With the wide variety of solutions that are available to all businesses today, it can be hard to know what is best for your business, or even where to start looking for a solution for a specific problem. Data security and protection is no different. 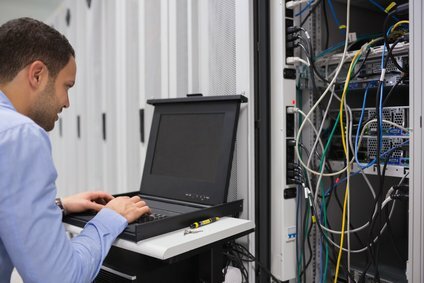 From data centers to cloud backup to backup appliances, the number of different IT environments and solutions out there for data protection are overwhelming. It can be a chore just do to research. While all of these options have their various benefits, we believe that every business can benefit from picking our data protection solution: the backup appliance. Backing up, proper archiving of the important elements and ensuring that a proper disaster recovery method has been applied to critical data form the foundation of a complete business recovery plan, and these aspects can never be taken for granted. The business world is taking this seriously, too. 44% respondents to a survey conducted in the US business community realized the importance of business continuity plans, updating them each year to scale with their business. Thankfully, plenty of solutions out there maintain the perfect balance between costs and dependability, and backup appliances are one of these solutions. Backup appliances are the result of innovative advancements in storage, archiving and recovery techniques. Industry leaders in data protection technology develop the right backup appliances. They are a one-stop shop for all things data, and they take into account the entire list of components that make optimum data recovery possible. These appliances are easy to install (the process only takes a matter of hours), are easy to work wit and understand and have multiple storage options available. 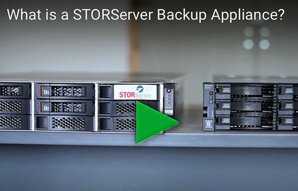 At STORServer, we provide the best backup appliances, ensuring that every data recovery and backup solution we offer is reinforced with the latest technologies, including Commvault® Simpana 10® and IBM Tivoli Storage Manager. For further insight, refer to this whitepaper, which will tell you more about our backup appliance technology. Contact us for a backup appliance solution tailor-made for your business and that will help you save more without compromising the safety of your business data.